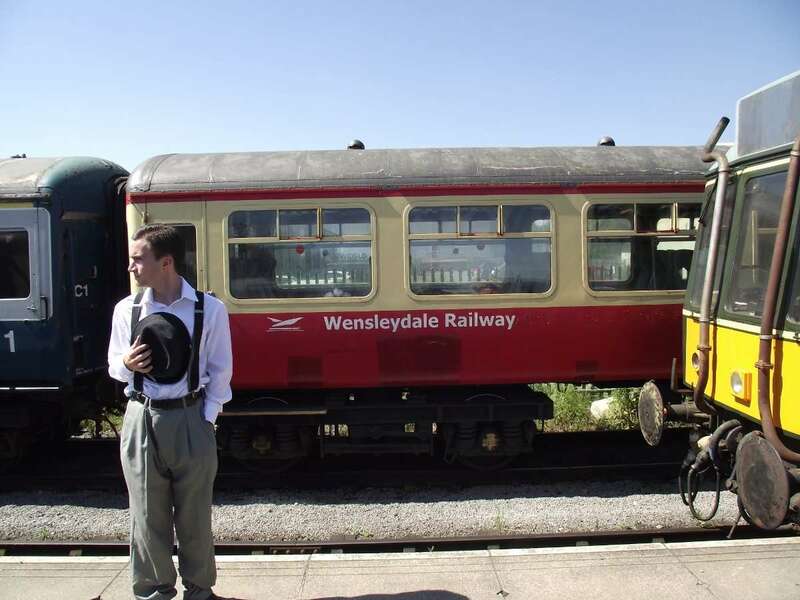 This may not surprise you but we love dressing up so with plans for a murder mystery at Wensleydale Railway on track we couldn’t resist a photoshoot. Most of our murder mysteries take place during the evening so we don’t get a lot of sunlight but a photoshoot on and off the carriages and engines meant some really great pictures! And the weather has been so nice recently that we were guaranteed sunshine. 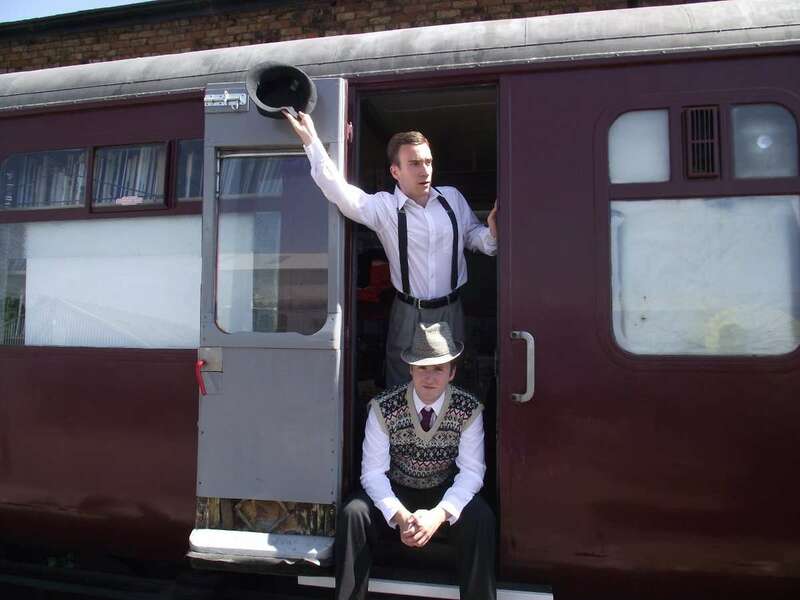 We’re keeping with the period of the 1950s carriages in which we’ll be travelling on September 15th for our murder mystery at Wensleydale Railway so that’s the setting for our plot. That means some pretty frocks, lovely red lipsticks and some smart looking young men – our characters can’t quite get away with the James Dean Rebel Without A Cause look because it doesn’t quite fit their stories. 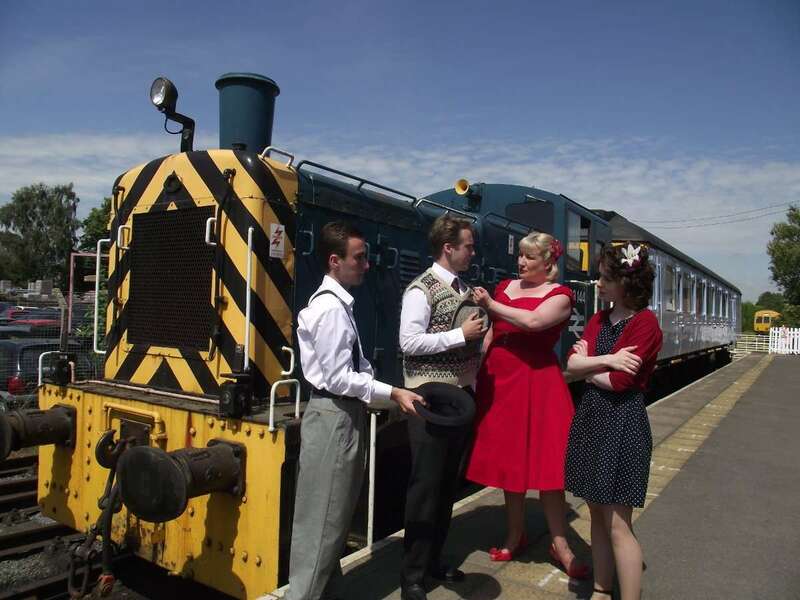 Fortunately, not only do we love dressing up but we also love the 1950s look and we have some rail enthusiasts among us so a photoshoot on the platform was no hardship at all! 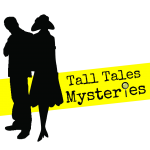 Our story for this murder mystery night revolves around crime writer, Austin Tayshus, who is heading off on a book launch aboard the train and he’s taking friends and family along with him as well as all his fans. His fans will be the guests aboard this special service on the line from Leemng Bar to Redmire. Austin’s latest book will be out very soon but this one is completely different to his usual novels – this story is based upon a true crime and he’s about to reveal a killer. Of course, this puts Austin’s life and the lives of his friends and family in danger and all of a sudden everyone becomes a suspect so be prepared to have the finger pointed at you! You can be as involved as much or as little as you wish but you’ll have fun with our twists, turns, clues and red herrings as you work out which of our six suspects bumped off our victim. 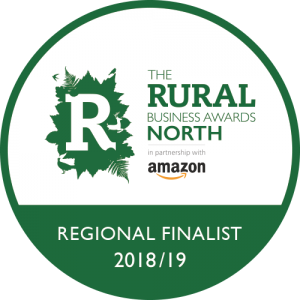 Tickets are now available for our murder mystery at Wensleydale Railway and include your train ticket, entertainment, a welcome drink, a cheese and meat platter with a chocolate dessert, a bottle of wine per table and tea or coffee. Book here now to make sure you don’t miss out. And take a look at our photos and a few of our shady suspects! Murder mystery at Wensleydale Railway. Bookmark. Murder And Mischief At Tennants.